If you wondered where you’d need these skills in the future, we have great news for you. Not only will you need those writing skills later in life, but you’ll also need it for your admission papers. If you decided to apply to college or a dream job, a great personal essay gives you an excellent start toward an actual admission. How to Write a Personal Essay? Every essay has the same structure – an introductory paragraph, several body paragraph, and a summary paragraph in the form of a conclusion. However, while the structure may be the same for all, the approach is definitely not. When writing a personal essay, you should literally speak about yourself. This doesn’t mean that you should just tell a dull story without a beginning or an end, at least not if you want it to impress the board. Writing a personal essay requires that you prove why you are the best candidate out of the pool of other applicants who want the same position. Starting with topics such as love or hatred, rivalry or friendship, and ending with life lessons or leadership experiences, a personal essay gives no limitations to its writer. Once you choose a unique and inviting topic of your actual experience, it is only the writing part that will separate you from being admitted. If you have chosen the topic for your personal essay, it is time to learn the tips and tricks about writing it. Before we even get into how to start a personal essay, you need to start with the outline. An outline is the golden rule of writing. Without it, you can easily get lost in writing or create content that is far from what’s expected from you as a candidate. Personal essay outlines aren’t at all lengthy or complex. This part might seem unnecessary to you at the moment, but those couple of minutes you’ll take to write the outline will cut the actual writing time in half. It is really simple – take a piece of paper or open a file on your laptop and write down one sentence for each of the sections in your essay – introduction, body paragraphs, and conclusion. These five or more sentences will help you organize your writing and keep you focused. Noting down the data you will use in each paragraph can also help you with the writing process. Wondering how to begin a personal essay? Before you start thinking of a hook, make sure you know everything about the structure and requirements for your paper. Your structure begins with an introduction, but this does not necessarily mean that you should write it first. In fact, most experts say they write the introduction last. Whichever you choose, you need to start the essay with an inspiring sentence – a hook that grabs the readers’ attention. Since your reader is probably an admission officer, do not be unprofessional or vague. They’ll have hundreds, if not thousands of applications to read, so you better think of something that catches their eye immediately. Some popular hooks in personal essay writing include quotes, literary terms, jokes, anecdotes, metaphors, similes, facts or statistics. You can even start the essay with a question and answer it at the very end, in the conclusion. Basically, the biggest tip on how to write personal essay is to start it cleverly. If you introduce the key information in the introduction and make it appealing to the reader, you already have bigger chances to get admitted than you did before. Most personal essays include three body paragraphs, but if necessary, feel free to add more. These paragraphs should all discuss a different idea or topic and be outlined in a way that connects them. When it comes to academic writing, you better stray from mixing up the chronological order. In such essays, it is best to follow this order to make it easier for the reader to understand your writing. The ending of your essay is not necessarily the easiest part. Many students underestimate the power of an inspiring essay ending. The last couple of sentences of your personal essay will leave the final impact on the reader. This being said, the conclusion isn’t just a summary of your points. Make a summary of the key points, but also stress the importance of the topics and end it with another kind of a hook – one that is intriguing and impressive. 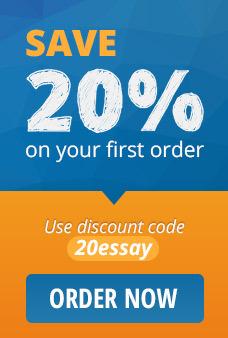 Ready to start your personal essay? The pressure is big and it is real, but with these tips and tricks in mind, you can master the application in no time. Do not rush your writing – this is one of the biggest steps you need to take to ensure a great education and an even better career. Your admission essay will be one of the biggest factors into being admitted in the college of your choice, so it is definitely not something to be taken lightly. Good luck!